Yep, Troop allegedly had Jones steering a recruit away from UT. Some of it is in here. 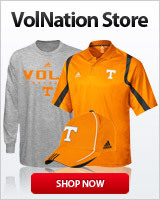 Why are certain Vols hated? The rumors were from players we were recruiting saying this was occurring. Tony Barnhart and Coach Matthews were talking about the coaching changes yesterday and they said he had joined the Duke staff. Just going by what they said. Just give him season tickets behind team at mid-field. Trust me they will hear him and they will do anything to keep from getting that "Gorgon Stare" from Big Al! Dooley would have done well to let Chaney call all the plays and make all the game time decisions whilst he had his stool pushed in for him. Lets bring in Thompson and Pittman and let Friend and Weinke take non-coaching positions for the team. The team was certainly headed in the right direction when do we had Wilcox and Company controlling the defense. As soon as his staff decided that doofus' micromanagement would make working here impossible, that's when we fell off the bridge. Of course I think Doofus also realized that the gig was up and didn't even bother trying to recruit in his last eight months on the job. Yes. We should’ve fired him before we left Lexington at the end of 2011. Instead we let Dooley handle another 1 1/2 recruiting cycles and prolong the rebuilding. My 12 year-old son and I were at the Vol walk for the '98 Arkansas game. When Al Wilson came by, I turned to my son and said "Did you see the look on Al Wilson's face?!" The guy next to me responded: "Yeah! He scared the heII out of me!" Would love to have Wilson as LB coach. he was referring to Tee? The Tennessee way. Always wait too long before firing coaches. lol, So does that mean Sal S. will be back also. Never going to happen. He didn't graduate.